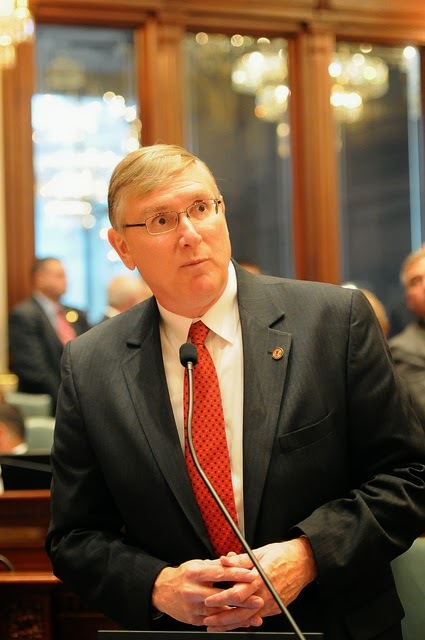 The Illinois House of Representatives voted unanimously today to inaugurate Jim Durkin (R-Western Springs) as the new House Minority Leader. Durkin had his wife, Celeste, and daughter, Caroline, at his side on the House Floor when the vote was taken. “It’s an honor to have been selected by my peers to serve as House Republican Leader. It is an awesome responsibility. I am thankful they put their faith in me and that we have come together as a unified caucus,” said Durkin. “I am proud my family could join me. The support I’ve received from my colleagues on both sides of the aisle has been overwhelming - working together we can get Illinois back on track.” Read more about House Minority Leader Jim Durkin. Since 2005, John Anthony (R, Plainfield) has served his community as a law enforcement officer, first with the Champaign Police Department and currently as a Kendall County Deputy Sheriff. Now, he's taking his service one step further as State Representative for the 75th District. Rep. Anthony was honored with the Ervin H. Warren “Cop of the Future” award given to police officers who show strong leadership under duress and maintain integrity and character. He and his wife, Deborah also founded and manage a non-for-profit charity organization called YARN. The YARN Foundation seeks to strengthen families hand help children by providing educational programs and scholarships. Retired Stephenson County Sheriff’s Deputy and Freeport Businessman Brian Stewart (R, Freeport) serves the 89th district as State Representative. 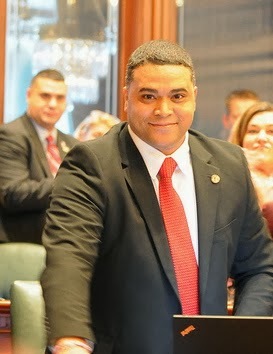 Rep. Stewart, a fifth generation native of Northwest Illinois, is an Army veteran and graduate of Freeport High School. Upon completion of his military service, he returned to Freeport to serve as a Stephenson County Sheriff’s Deputy. With a knack for business, Rep. Stewart retired from law enforcement and today successfully employs more than 300 people and manages over 20 businesses, the majority of which are centered in his hometown of Freeport.